From utility-scale mega projects to small residential deployments, solar projects are becoming globally cheaper and more investment-worthy while delivering greater efficiency-per-watt to customers. In this article, Targray Solar analyst Justin Park a closer look at the three main types of solar PV project going online today: Utility-scale, commercial and industrial (C&I), and residential. A ‘utility-scale’ solar project is usually defined as such if it produces 10 megawatts (MW) or more of energy. For comparison, the average American household uses approximately 900 kWh (0.9 MWh) per month. 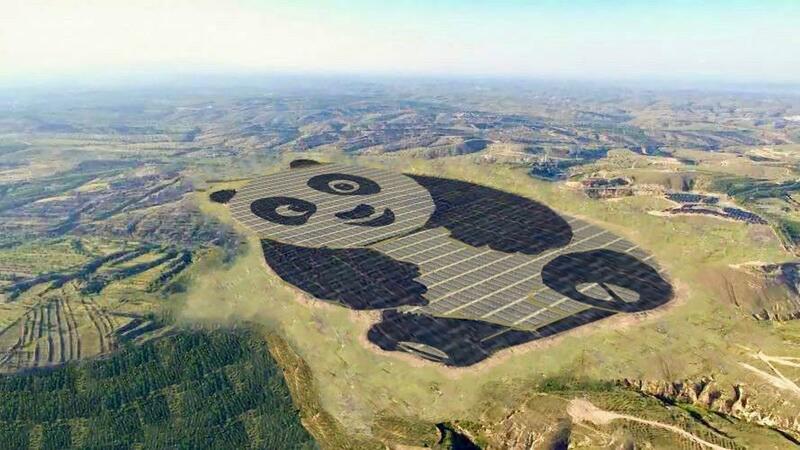 A good example of a utility-scale PV project is the panda-shaped solar farm pictured above. the Datong, China based project situated on 250 acres of land generates a total of 100 MW of solar energy, enough to offset approximately 1 million tons of coal in the next 25 years. Estimates suggest a solar farm of this size can deliver enough wattage to power roughly 60,000 homes (Source: EPA Greenhouse Gas Equivalences Calculator). Utility companies, also known as “off-takers”, are typically the party that purchases the generated power. Project developers and EPCs (engineering, procurement, construction). What do Target, Google and L’Oreal have in common? All 3 have become private sector leaders in terms of commercial solar energy deployment. Industries focused on consumer goods, fashion and the high-tech sector all use significant amounts of energy, and stakeholders are becoming increasingly aware of the potential savings that solar power operations can deliver. They are also recognizing the intangible benefits of meeting the consumer expectation of being cognizant of the environment. Building-integrated photovoltaics (BIPV) projects are an increasingly popular solution that enables builders to maximize energy efficiency through the integration of solar panels in unused commercial window space. A day care center in Marburg, Germany (pictured above) by architecture firm Opus Architekten showcases BIPV’s ability to effectively balance attractive design and efficient energy generation. Solar technology providers have been the subject of criticism in the past for delivering solar array designs that were an ‘eyesore’. BIPV is a direct response to this criticism. It also happens to be one of the fastest growing segments in the solar industry today. Yet another effective way to increase energy efficiency in commercial building projects is through the construction of solar carports. panels for commercial projects is to construct solar carports. 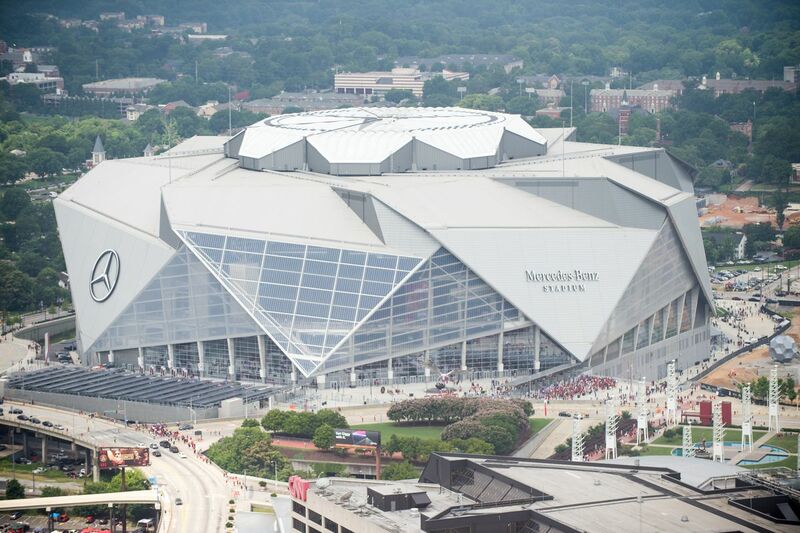 Atlanta’s Mercedes-Benz stadium – which hosted Super Bowl LIII and the U.S. College Football Championship Game in 2018 – features solar panels throughout much of its parking area. The most common types of installation for Commercial and Industrial (C&I) projects remain ground-mounted and rooftop solar systems. The size of these projects tends to be smaller than with utility-scale projects, hovering around 1-2 MW. Another key difference between utility-scale and C&I projects is the off-taker. Utility-scale projects primarily serve utility companies, whereas C&I projects supply power to corporate organizations and industrial plants. In some countries, like Australia, the residential sector is the fastest-growing solar PV project segment. And while going solar may still be perceived as an expensive energy solution accessible only to high income households, the most significant growth down under appears to be occurring in low- and middle-income household segments. This should come as no surprise to the authors of Australia’s Rooftop Real Estate report, which found that households equipped with solar PV had electricity costs 20% lower than their non-PV counterparts. Residential rooftop solar PV project types are the smallest in size, ranging from 5 to 20 kilowatts (0.005-0.2MW). Prior to installation, residential solar installers will typically conduct a feasibility study to determine factors such as total shade-free area, insolation, potential power output and optimal panel orientation.